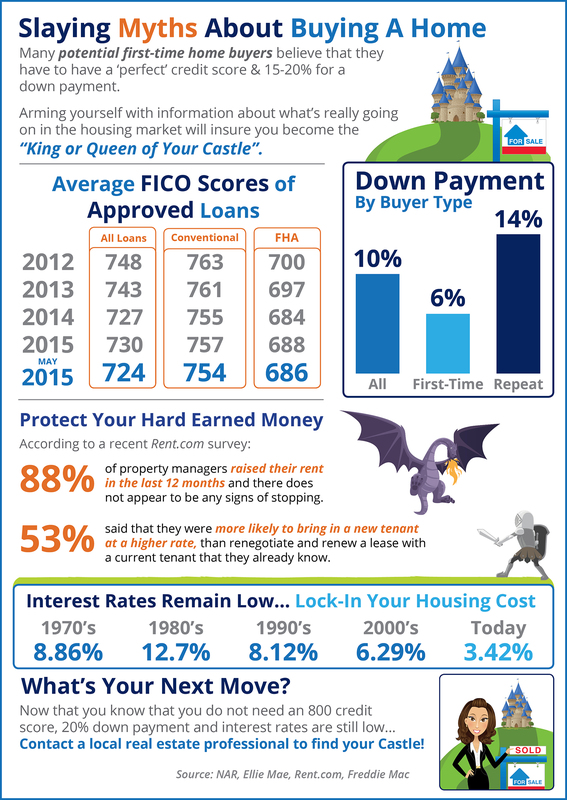 Interest Rates are still below historic numbers – that means buying a home is affordable! You get to lock in a low rate for 30 years! If you need a better analogy, mortgages are on sale – get one now, before the price goes up. 88% of property managers raised their rent in the last 12 months! If you buy a home, your mortgage payment never goes up! Credit score requirements to be approved for a mortgage continue to fall, which is great news if you have bruised credit but still want to buy a home.